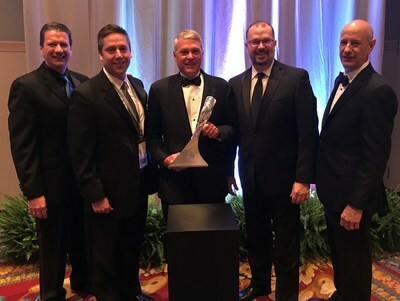 DETROIT, May 1, 2018 /PRNewswire/ -- Adient was named a GM Overdrive Award winner and a Supplier of the Year during General Motors' 26th annual awards ceremony held in April. GM's Overdrive Award, introduced in 2012, recognizes supplier partners for extraordinary leadership in cultural change and commitment initiatives that drove exceptional business results for GM. Adient was one of only four 2017 Overdrive Award winners. "Adient is honored to receive the GM Overdrive Award and be named a Supplier of the Year. This recognition demonstrates our commitment to providing outstanding performance, quality and innovation to our customers," said Bruce McDonald, Adient's chairman and CEO. During the event, GM recognized 132 of its best suppliers from 17 countries who have consistently exceeded GM's expectations, created outstanding value or introduced innovations to the company.